Some of us have vocals as smooth as organic manuka honey. Some of us sound more like wheezing donkeys, at best. Whatever the case, singing is enjoyed by all - it’s a great way to let your emotions loose, apart from over-posting on Twitter. Feeling happy? Sing. Stressed? Sing it away. Emo-ing from a breakup? Put on an Adele ballad and Sing. Your. Heart. Out. No matter the occasion, a k-session with the pals is always a good idea. 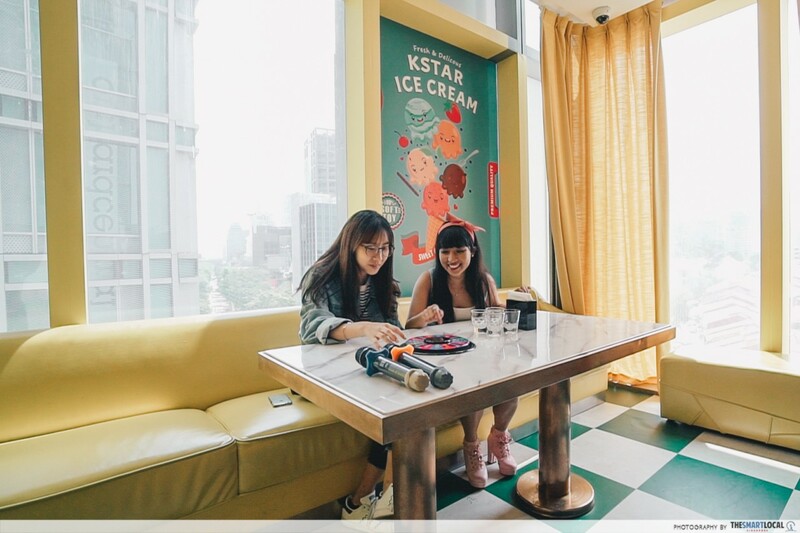 We’re familiar with the usual affordable karaoke spots, but K.STAR Karaoke - newly opened in March this year - is one that’ll bring an unrivalled experience with its special themed rooms. 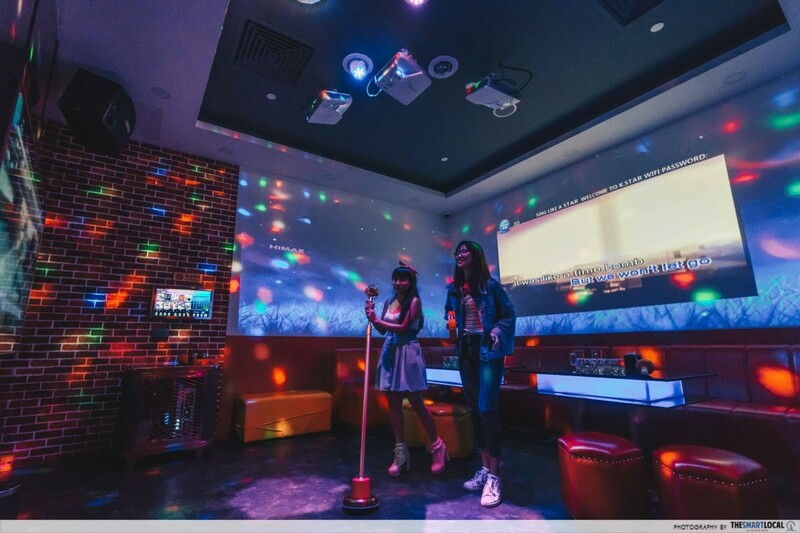 Yup, K.STAR is Singapore’s very first themed karaoke bar, conveniently located at Orchard Central. 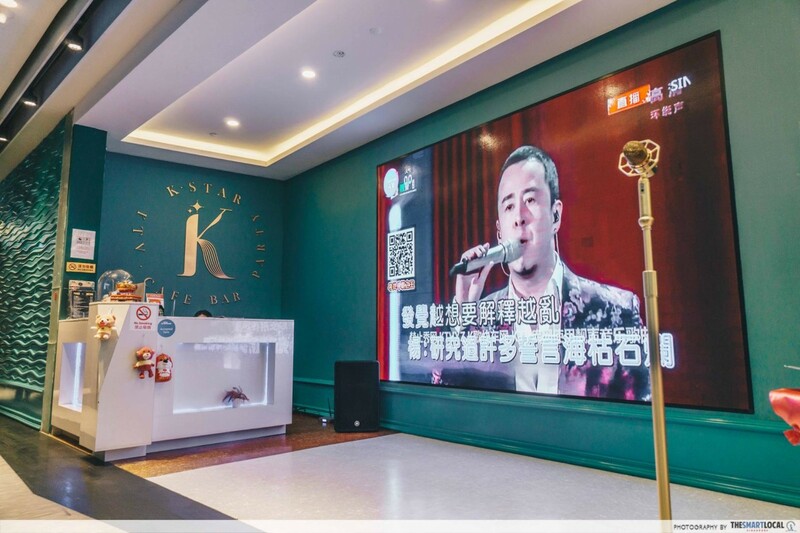 It’s quite obvious that the “K” in K.STAR stands for “karaoke”. 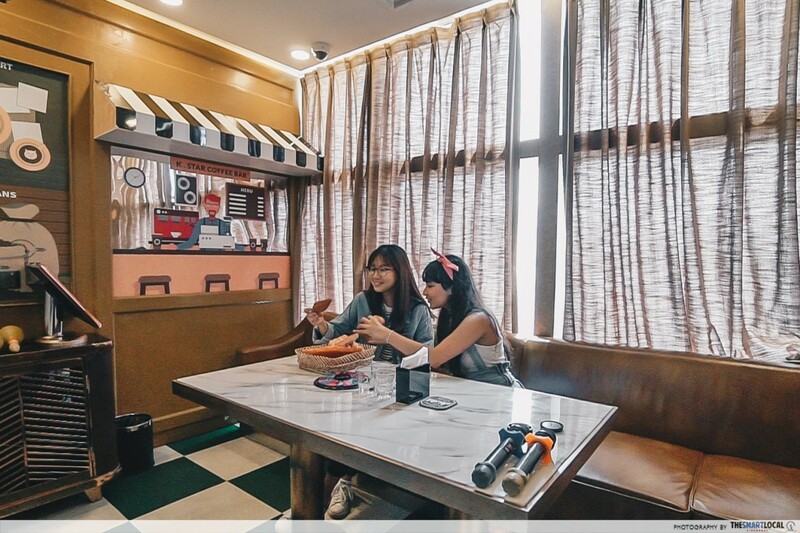 But according to the owner, it’s also interchangeable with “Korean” - the decor is partly Korean-inspired. Incidentally, there’s also a K-star Road in Seoul, where hallyu entertainment companies are based. 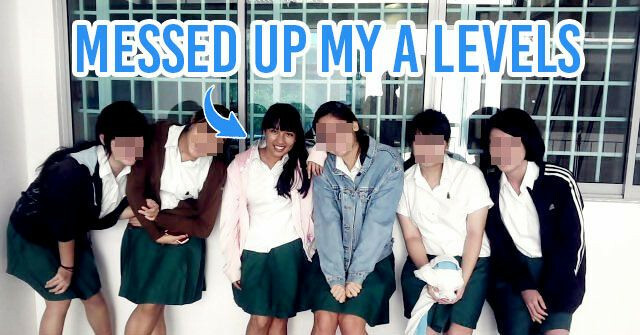 Time to let your inner G-Dragon rear its head here, maybe? 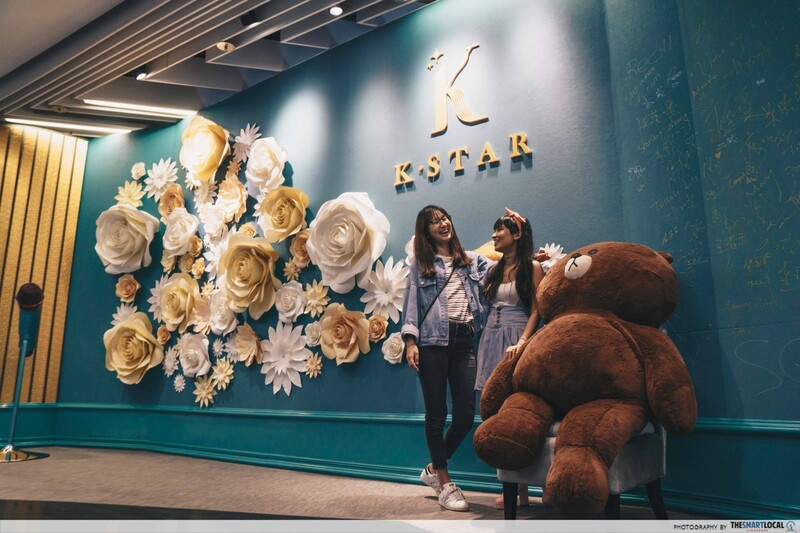 If you always find yourself jostling for space with your friends in cramped karaoke rooms, you’ll be glad to know that K.STAR’s are comfortably spacious - the largest can hold a whopping 35, and even the smallest can accommodate up to 6. They’ve got other room sizes for a maximum party of 10, 15, and 20 people, and each have a unique design. Rates are surprisingly affordable too. 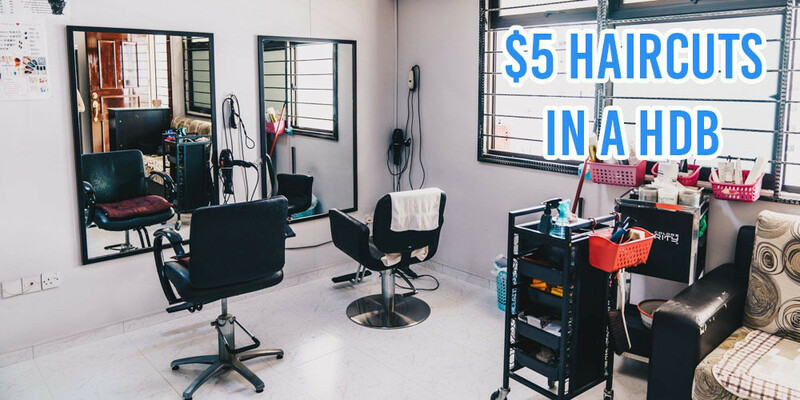 A Mini Room which can hold 6 costs from $18/hour - max out the space, and you’ll be paying just $3/hour per person! Good news for students, ‘cause you’ll get to enjoy a special pricing of $12 nett for 3 hours, on Mon-Thu, 12PM-7PM. Click here for their full list of rates. 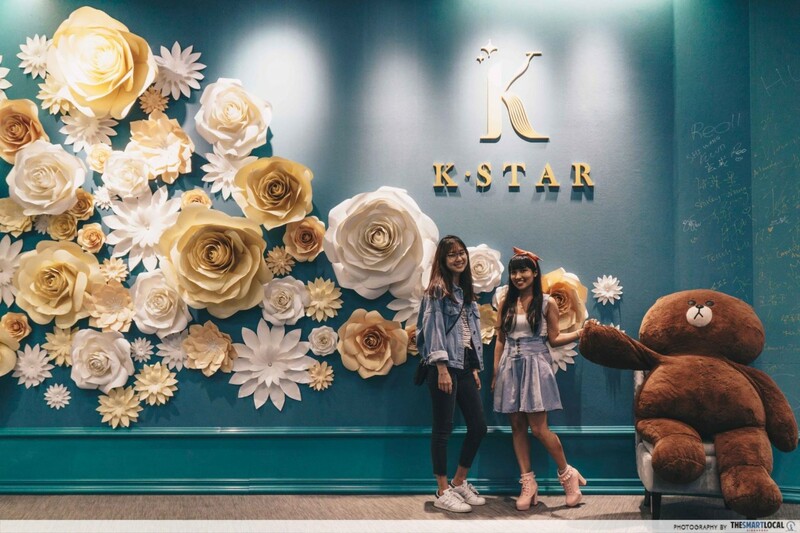 Perhaps not many venture up to the higher floors of OC these days, but you can’t miss K.STAR’s entrance once you’re up the escalator on Level 5. 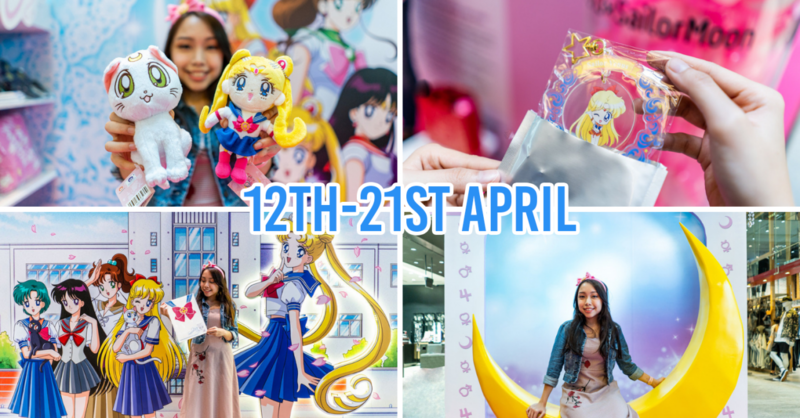 You’ll be greeted with a gorgeous turquoise feature wall full of giant paper flowers, along with a huge LINE plushie. 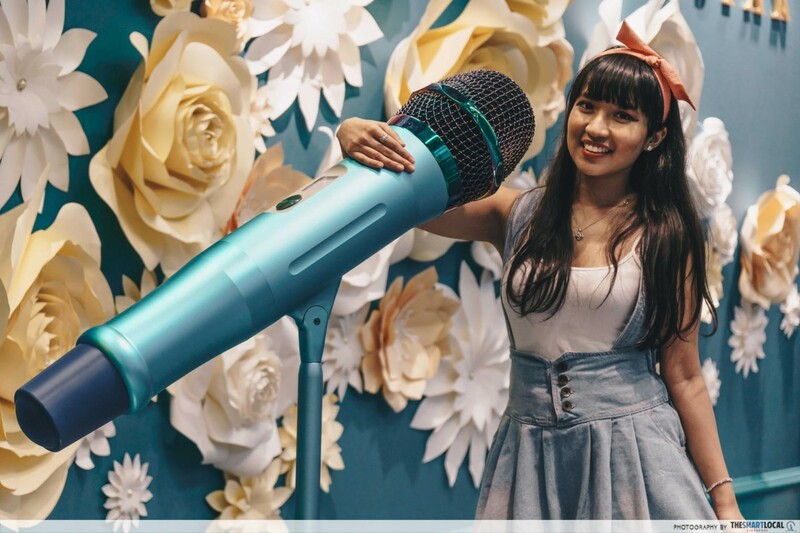 Oh, and that huge standing microphone you see there? 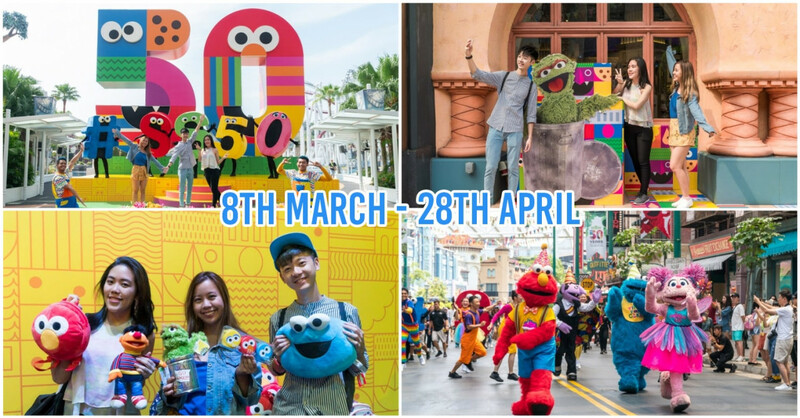 It actually works, and, right now, is the only one of its kind in Singapore. 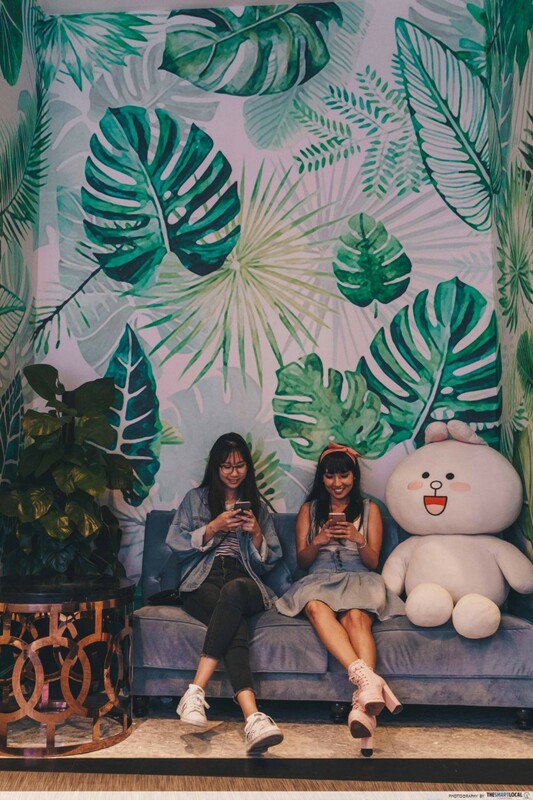 In the event that you need to queue, chill out on their comfy sofas at the reception area and have fun snapping photos with more LINE plushies against the tropical backdrop. There’s a projector screen there as well, so feel free to belt out some tunes while your room is getting prepared. If what’s currently playing isn’t your kind of jam, just approach the counter staff to request for your song of choice and they’ll be happy to assist. But that's a mere prelude of what’s to come. Think this is amazing? Wait till you check out the individual rooms inside. 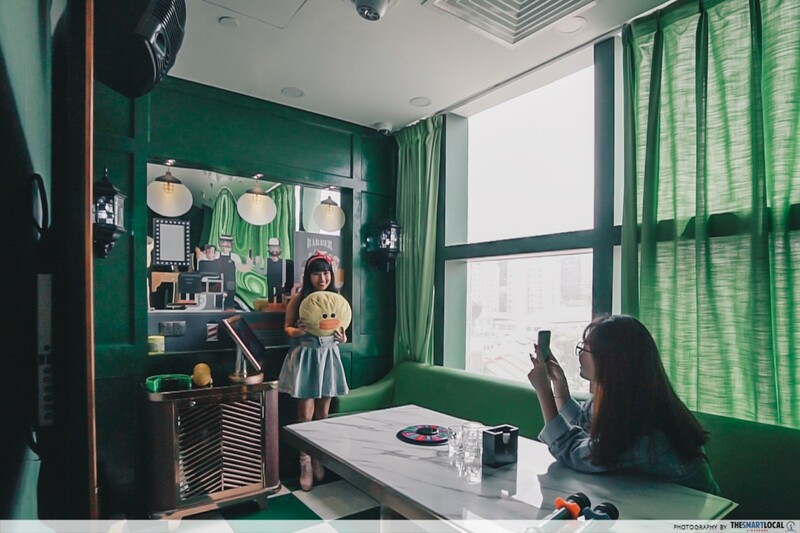 The Mini Rooms (max 6 pax, from $18/hour) are fairly simple yet vibrant, each following a fun colour scheme - a fresh change from the usual nondescript ones or tacky ah beng variety found at many other karaoke joints. 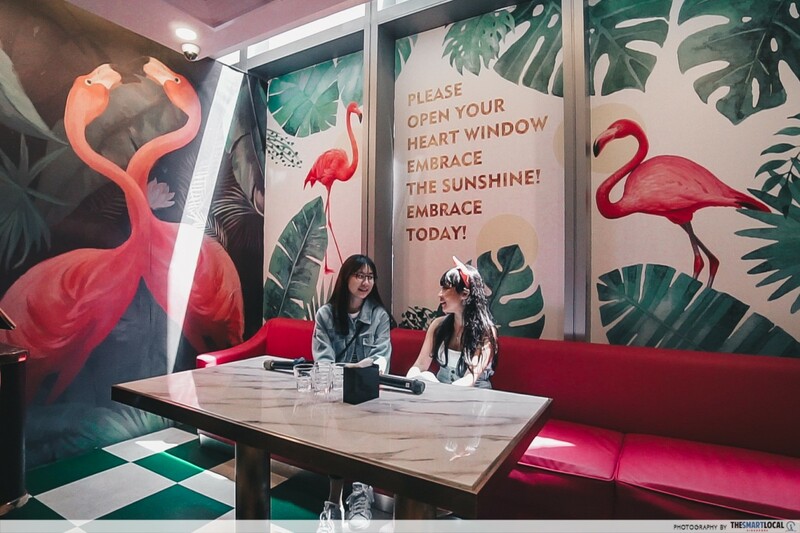 We especially adore the ones featuring palm leaves and bright pink flamingos! Other styles include a cheery yellow ice cream-themed one, as well as a calming green one with a barbershop design. Spot the black and white barber’s pole lights! 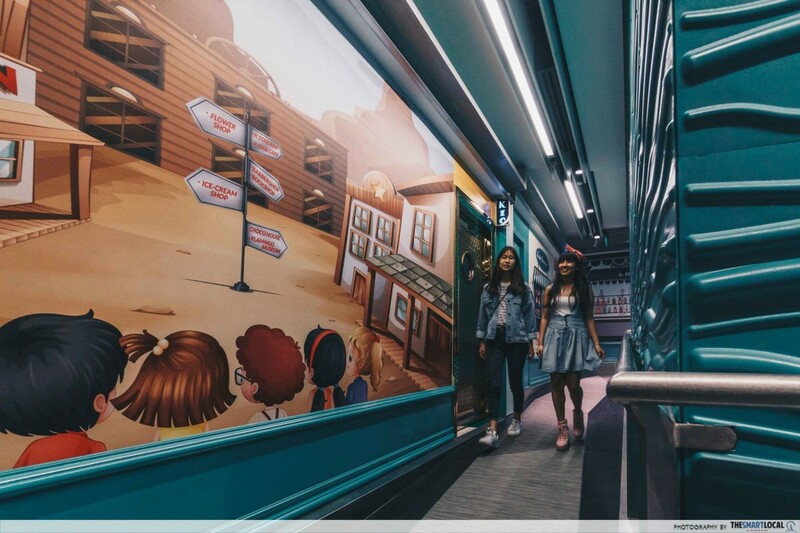 Most of the mini rooms have clear windows offering a view of Orchard Road, so you can imagine how pretty the scene below would be once the streets get lit up in the evening. These are just some examples of the Mini Rooms available - there are a total of 10, including one that looks like a cosy library, complete with books on shelves. The larger rooms are a tad flashier, and are suitable for parties and class/corporate outings. 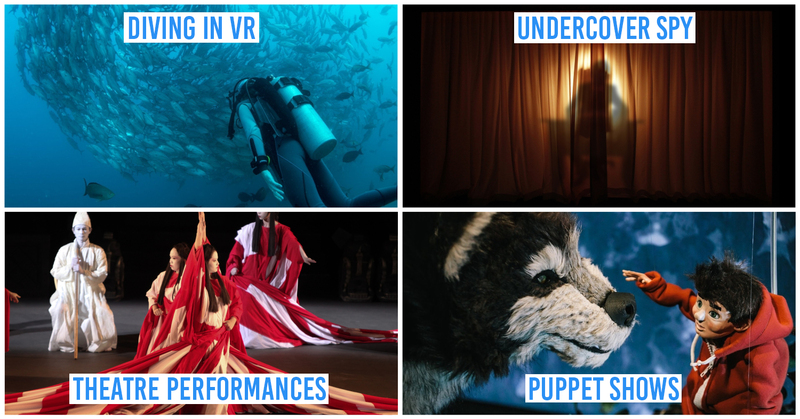 For an immersive experience, book yourselves a Panorama Room (max 20 pax), where a projection screen covers the entire back wall, and then some. Apart from showing what’s already playing on the 85” TV screen in front, the projector is pre-programmed to change backdrops depending on the song. We had hearts all over during Rihanna’s “California King Bed”. Fun fact: if you pick the “Happy Birthday” song (unfortunately only available in Mandarin), the projector screen will automatically produce a backdrop of birthday candles. Most of these larger rooms come with working standing mics in addition to the normal handheld ones - and you can actually swing them around on their stands. So muster up the courage to take centre stage, and get ready to rock! 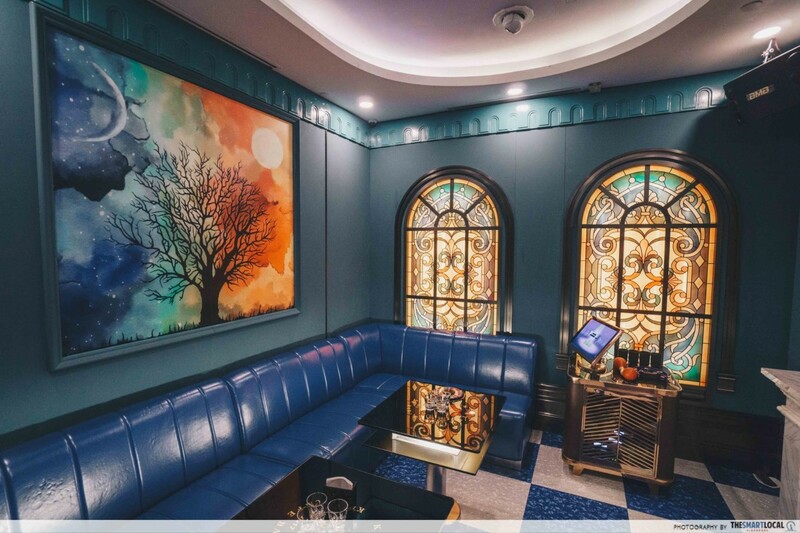 If you prefer something less flamboyant, go for one of the chapel-themed Premium Rooms (max 10 pax, from $28/hour) or Deluxe Rooms (max 15 pax, from $38/hour), with artificial stained glass windows. Planning a huge get-together? The VIP Party Room (max 35 pax) will be perfect. Instead of a TV, this one has a massive projector screen spanning 6-metres, and is slightly curved for optimum viewing no matter where you sit. 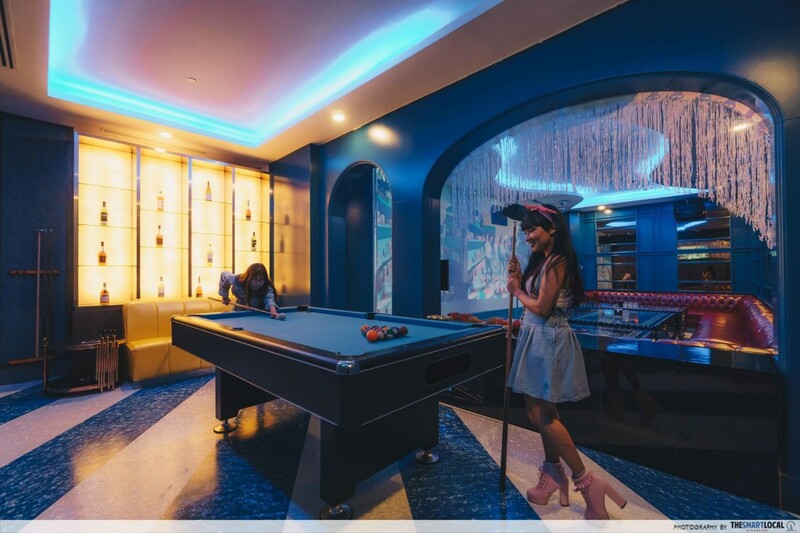 You can also shoot some pool at the side when you’re tired from the singing marathon. 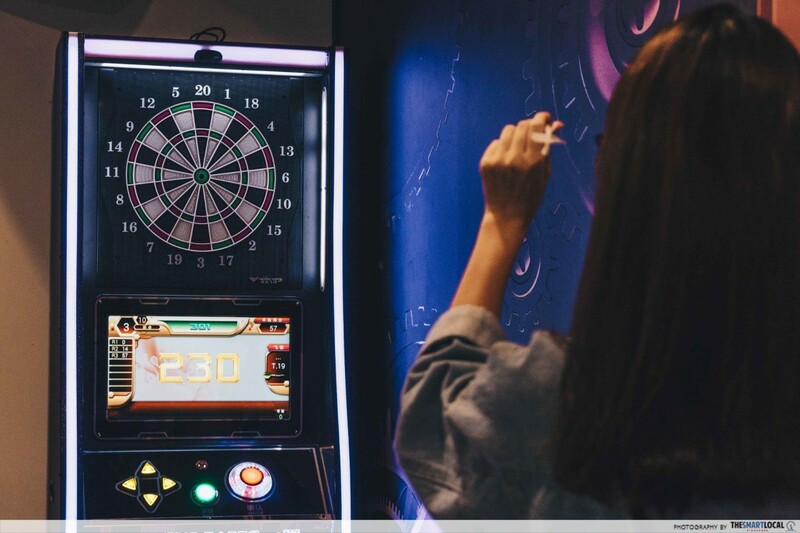 Alternatively, you can book the room with dart machines instead. The cost of the games are already included in the room fee, so you can have as many tries as you like. All rooms regardless of size come with a drinking game spinner. Sadly, the wording is only in Chinese. 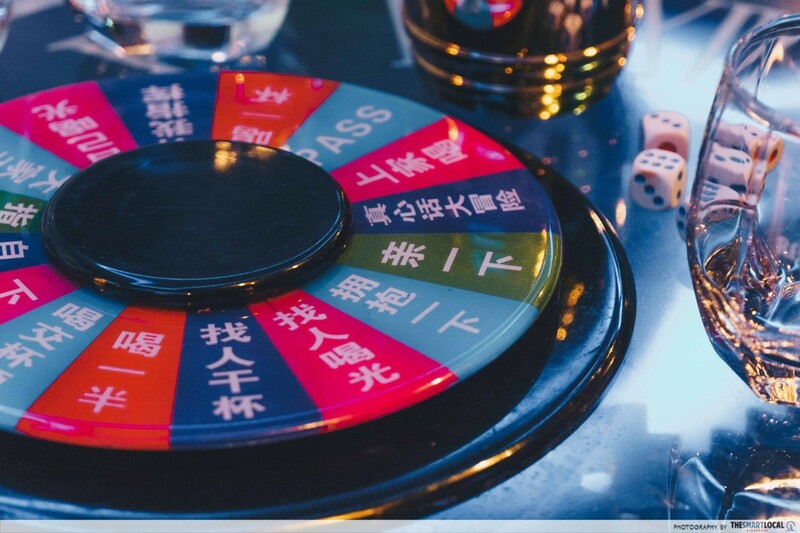 For the benefit of our non-Chinese friends, some of these can be translated to: “Find someone to finish your drink”, “Drink half your cup”, and....“Kiss someone”. Not for the faint-hearted or weak-livered. Each room also comes with a tambourine and pair of maracas, so you can get into the groove and shake that booty. That’s not all. You can adjust the volume, singing accompaniment, and even the mood lighting with a simple touch control on the wall - no more having to huddle in a group over the main control screen! If the disco-esque strobe lights give you a headache, pick the slower “Romantic” setting, or omit them altogether with the “Bright” mode. Our only grouse about this place is that the English song selection isn’t particularly diverse. 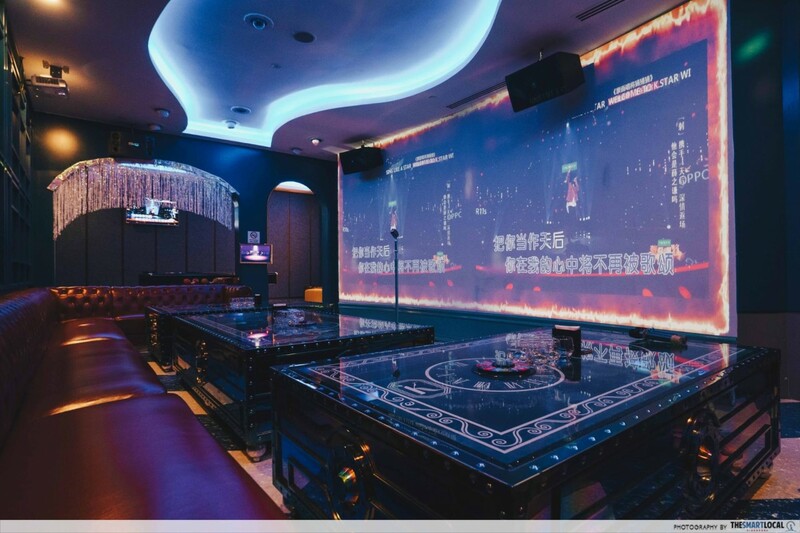 While I can scroll for ages on other karaoke machines, I found myself completing my browsing in a couple of minutes here. They do have a decent list of popular artistes like Ed Sheeran, Taylor Swift, and 1D, but within those, choices can be limited. “Anaconda” wasn’t part of Nicki Minaj’s list, which is pretty much blasphemy in my books. Older well-loved bands like Aerosmith and Aqua (the ones behind “Barbie Girl”) were elusive, and you’re probably not going to find your parents’ evergreens either. As someone who grew up on a steady diet of punk-rock, I was a little bummed that bands like All-American Rejects and Blink-182 - which really aren’t obscure - weren’t included. Seems like there's a stronger focus on Mandopop and K-pop here. 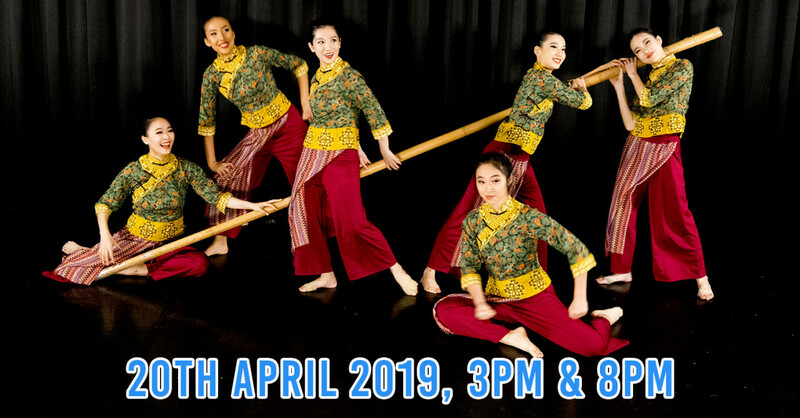 Nevertheless, there should be enough well-known English hits to keep you going for a couple of hours, with a small selection of Japanese, Malay, and Thai songs as well. Using the machine is intuitive enough and you'll get the hang of it quickly. All that non-stop singing - or screaming - is likely to work up an appetite. 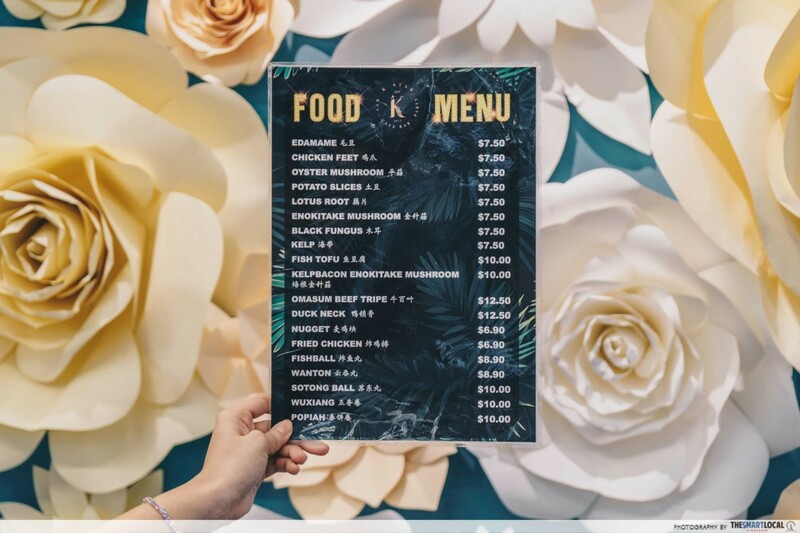 Take your pick from their predominantly Asian food menu which includes bar bites like Edamame ($7.50), Fried Chicken ($6.90), and Popiah ($10). Need a little liquid courage before busting out your killer vocals? There’s a wide range of alcoholic drinks like beer, wine, and whisky. Teetotalers aren’t forgotten, with soothing options like Honey Lemon Tea ($3) and Green Tea ($2). Those who are here with a gang of avid drinkers can opt for drink packages. 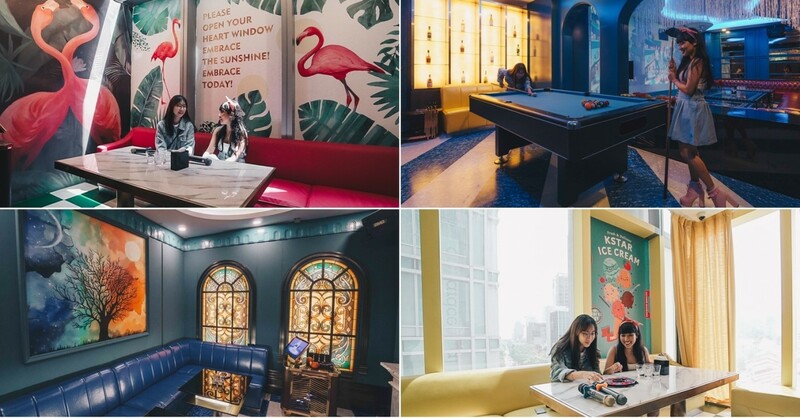 A Beer Package for 3 hours in a Mini Room is priced from $138, and will get you a beer tower, fruit tray, and a set of tidbits. That’s only about $23 per person for the entire session. Other packages include the Remy Club Package and Macallan Package. 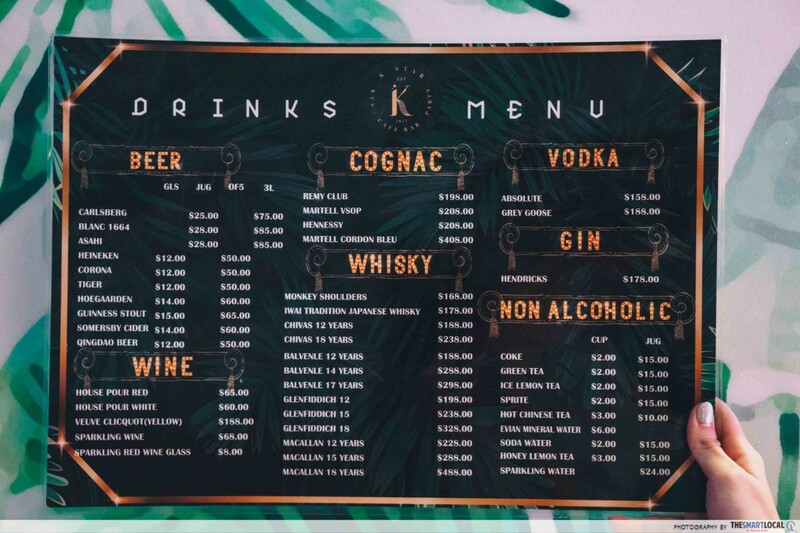 Check out their full list of drink packages here. 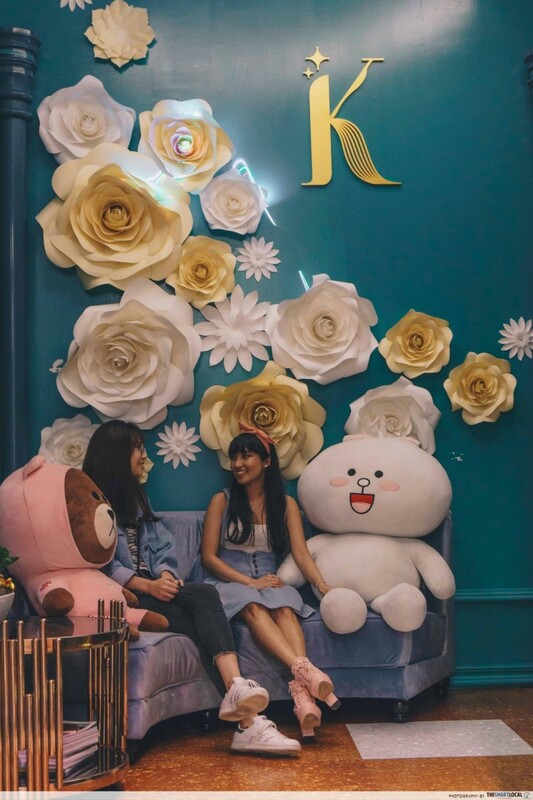 K.STAR Karaoke definitely brings something new to the table with its top-notch decor. Since the charges go by room, it’s better to come as a group. 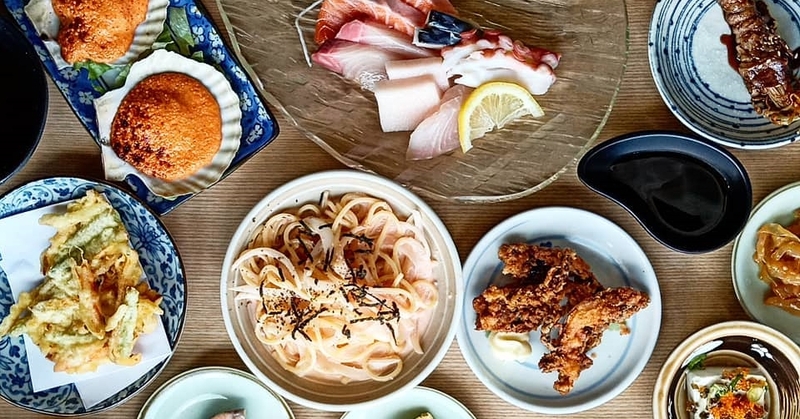 But it’s also worth splurging the dough here if you’re celebrating a special occasion as a couple, seeing as you’re not going to get a similar experience elsewhere! 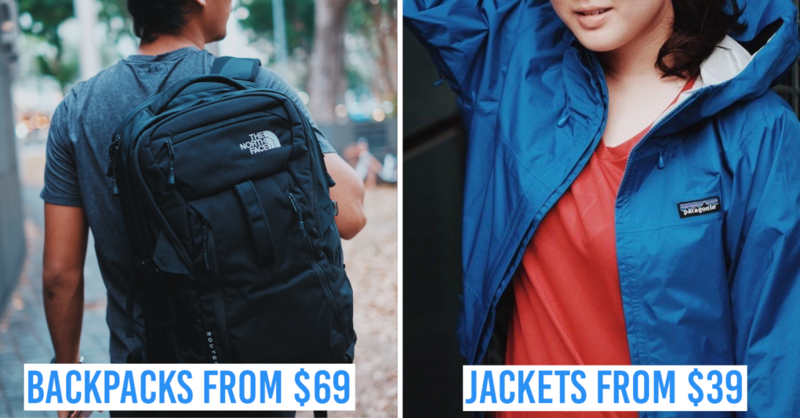 They’ve got some pretty sweet happy hour deals and regular promos - check out their promotions page, or keep updated via Facebook.